Essay: In Pursuit of Millennials, More Fun in Sports. But Still No Twerking. Home /Essay: In Pursuit of Millennials, More Fun in Sports. But Still No Twerking. 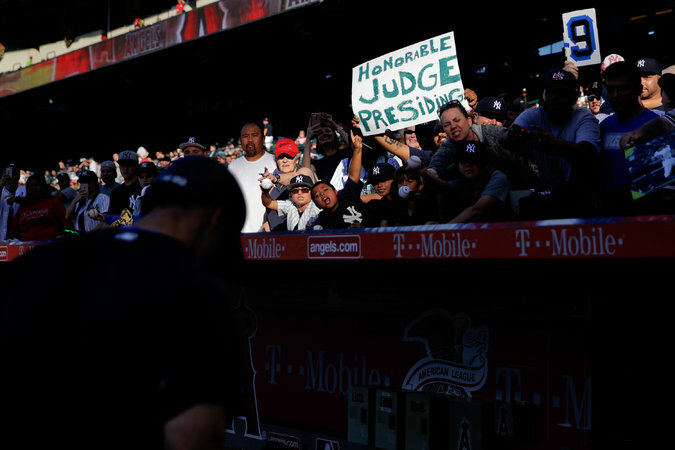 Fans of Aaron Judge in the stands. No word yet on whether the next enticement for millennials will have Judge joining the cast of “Big Brother” on his days off.